Order your quality Canvas Photo Prints of "Phoenicopterus Roseus Greater Flamingo Birds Camargue France" now! Order your Canvas Photo Prints now! PLEASE be aware that 1.5" of the picture you see will be wrapped around the frame. IF YOU PREFER to have the full picture on the front and a black/white or a custom color wrap instead please send me an email immediately after your order. 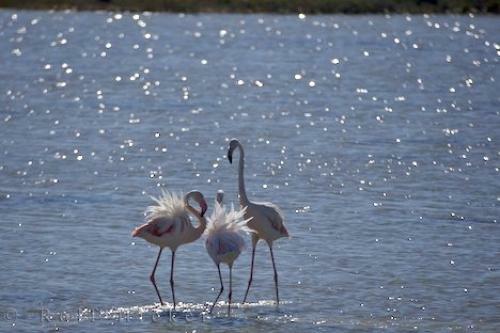 Photo of Greater Flamingos in the Parc Naturel Regional de Camargue, Les Bouches du Rhone, Provence, France.